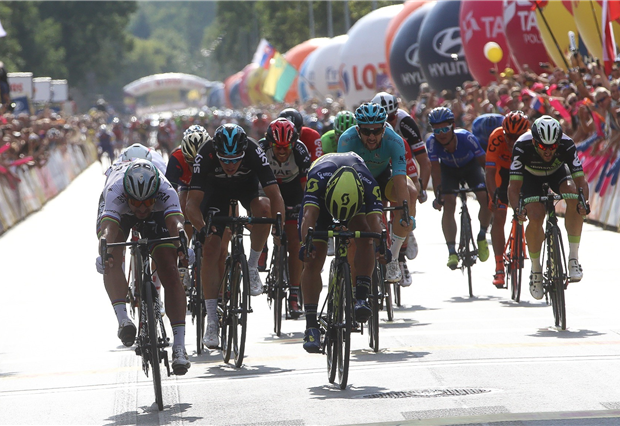 Peter Sagan (Bora-Hansgrohe) claimed the opening stage of the Tour de Pologne today, after the World Champion succeeded in fending-off challenges from Caleb Ewan (Orica-Scott) and Danny van Poppel (Sky) to seize the stage honors by a mere wheel-length during a sprint finale in Krakow. The pace of the peloton was high during the final kilometers, wherein Daniel Oss (BMC) commenced an attack with 3 kilometers to go. However, Quick-Step initiated a counter-attack, which served to catch the Italian rider with less than 500 meters from the finish – setting the stage for a sprint showdown with Sagan emerging victorious. Earlier in the stage, a small breakaway group containing Pawel Bernas (Poland), Martijn Keizer (LottoNL-Jumbo), Maciej Paterski (CCC-Sprandi) and Charles Planet (Novo Nordisk), got underway at the outset of the race. 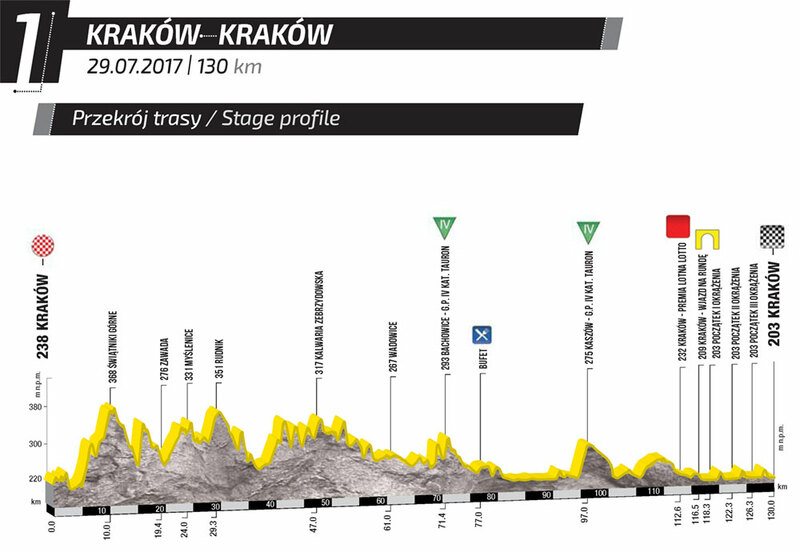 After the quartet spent most of the day out front, Paterski and Keier broke clear during the climb into Kaszow with 34 kilometers remaining. Paterski led for most of way, setting a fierce pace that briefly dropped Keizer. However, isn’t wasn’t long before the two riders were reined in one-by-one by the peloton with 16 kilometers to go. In the meantime, Keizer seemed more keen on taking the various sprints on offer throughout the day, claiming maximum points over both categorized climbs ahead of Paterski, and again out-sprinting his breakaway companion at the final intermediate sprint before sitting up and waiting for the bunch to catch him.